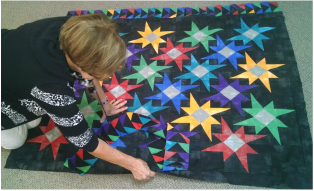 ​​​﻿Are you an accomplished quilter? This is a fun week to work through a quilt with great camaraderie, receiving overview instructions and helpful tips from our resource person, Carolyn Snyder. Never quilted before or only done simple projects? This is a great opportunity to have step-by-step assistance from Carolyn. She is available for any and all questions. 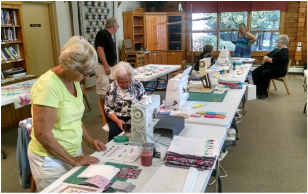 Regardless of your ability, you won't want to miss a week filled with laughter, friendship, and fellowship while accomplishing all or almost all of a quilt top before you head home. You choose colors & fabrics!